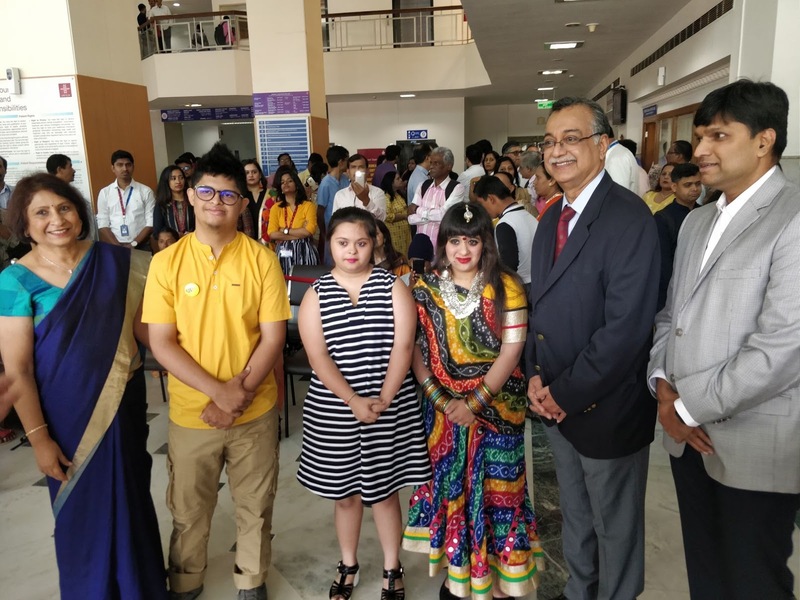 In an effort to draw attention towards Down syndrome and create awareness around this genetic condition, Department of Medical Genetics at Manipal Hospitals Bangalore observed the day and conducted awareness talks. March 21 is recognised as World Down Syndrome Day by the United Nations. In India, every year, an estimated of 30000 children are born with Down syndrome which is a genetic condition marked by an extra copy of chromosome 21. It is associated with certain level of learning disability, a characteristic facial appearance and a weak muscle tone. Kids suffering from this genetic disease are at a greater risk of childhood leukemia, heart defects and immune and endocrine system dysfunction. At the event, present were some heartwarming cases of Down Syndrome babies who have excelled in their fields due to their strong will, grit and sheer dedication to excel in life. Ms. Karishma Kannan received the 2014 World Downs Syndrome award in Chennai and felicitated the Indian Cricket team during their visit to Chennai. A celebrated painter she recently exhibited her work in Bangalore exhibition in Nov 2018. Ms. Dinal Jain won Gold and bronze medal in Asia Pacific Paralympic Games, Australia 2013. She has 30 medals from National Swimming Competitions. She currently works as an Assistant Teacher in Sneha Dhara Foundation.